As Kemco continues its focus on producing JRPGs for mobile platforms, they’ve also slowly continued their trend of re-releasing certain titles for PC as well. Only a few months ago did Revenant Dogma become available for platforms outside mobile. Although called a sequel to Revenant Saga, I feel this should be more accurately called a spiritual successor. Similar campaign, similar gameplay, but the plot is thrown for a loop. Revenant Dogma is one part classic JRPG and one part test in patience. The story of Revenant Dogma focuses on two kingdoms with a fragile peace, one insult away from all-out war. One is ruled and populated by humans while the other is governed by the therians, humanoid beasts with equal capabilities as the humans, as well as equal distrust for them. The humans worship what they call holy gods while the therians worship feral gods. Recently, the number of monsters appearing in both kingdoms has been rising and the two kingdoms blame each other. With opposing beliefs and distrust in one another, each seek to increase their own power. Caine, a human working for his kingdom as a Revenant Corps member, is dispatched along with Julie to find a feral relic in enemy territory, an item possessing feral god powers. During his initial search, he comes across fellow Revenant soldiers and the mysterious Lilith, while also merging with the feral relic he was supposed to retrieve. By helping Lilith, Caine and Julie are now marked as enemies and retreat to therian territory to unravel the mysteries behind Lilith, the relics, the Revenant Corps, and the increasing monsters. While several of Kemco’s past efforts have suffered from a lack of plot depth, Revenant Dogma is a particular offender. This “sequel” alters much of what Revenant Saga establishes and flat-out discards the rest. First of all is the introduction of an entirely new species, the therians. Where were they during the first game? It definitely feels like the developers just decided to throw them in there, like this is fine to simply add an entirely new species and kingdom with zero explanation. Secondly, Revenants are not the same things from the first game. In fact, it’s hardly even covered what Revenants are in Dogma, despite having the word in its title. While in Saga it’s explained that Revenants are individuals that have had a demon placed within them, here they’re people with either holy or feral gods and/or their relics and powers placed within them. It’s never made entirely clear if Revenants can be created by summoning gods because the only major Revenants that players come in contact with have all become them through relics. Also, it was a major plot point in Saga that Revenants couldn’t be vanquished through normal means and only a Valkyrie, blessed by their god Rystoria and who had an amulet signifying the blessing, could do so. Here, Rystoria, the amulets, the blessings; none of that is mentioned. It’s all completely discarded and Revenants have been stripped down simply to a type of soldier. Perhaps my biggest complaint is with how the previous characters are treated. Albert, the main character of Saga, only has two scenes and a boss fight. Esther, now named Estelle for whatever reason, is just a voice with a handful of lines. You don’t even get to see her as an NPC. 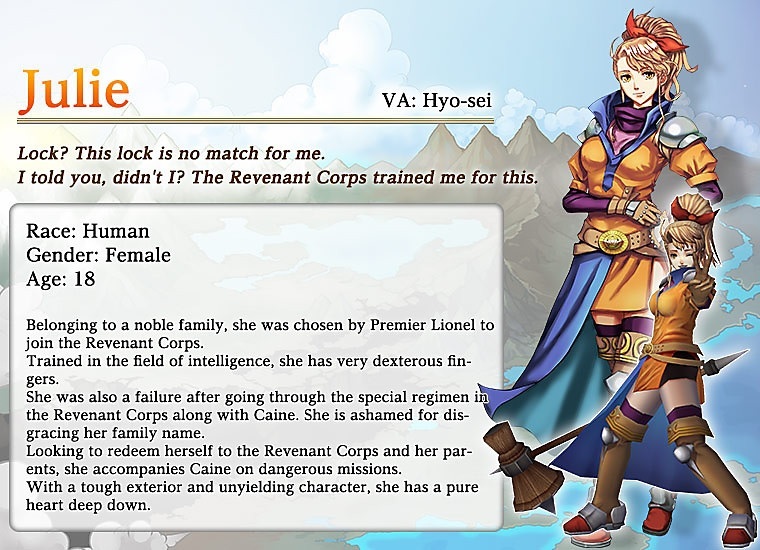 The most developed characters from the previous game, and arguably the entire Kemco library, are so haphazardly treated by the developers that it’s shameful. Also, zero mention of Bruno or Julia. It’s a massive disservice to alter and eliminate so much of the depth the first game provided, especially because this game lacks it so strikingly. At least the help screens are ever informative. Outside of its failures to properly address the first game, Dogma’s story is a vague, linear experience. The game throws you into a basic plot in which a mystery needs solving before war breaks out. Again, topics like Revenants are glossed over and players are expected to go with the flow as the plot progresses. It’s not the worst story I’ve ever played through, but because of its lack of proper buildup, it’s easily forgettable. Taken as a stand-alone story, it does have a few moments of intrigue and even a surprise or two, but it’s nowhere near enough to hold real interest. Again, as a sequel, it’s a disappointment, not doing any justice to its predecessor and we’ve all played enough games where good must beat out bad just because. Along with the uninspired story, the characters and their development also left me dissatisfied. Where Albert and Esther had memorable degrees of development and depth, both individually and as a budding couple, in Revenant Dogma, all the characters are mold fitting. Caine is a typical action-oriented hero, ignorant of the women around him. Julie is the aggressive type and Lilith the quiet one. Fleon is one part tough guy with no patience, and other times comic relief. Other than that, there’s really nothing else to say. Something to mention is that this Lilith is definitely not the same Lilith from Saga. Saga’s Lilith, even though we only ever hear her voice, has a much more distinct personality than this one. Sure, personalities can change over time, but these are two completely different characters. I would have liked to have learned what happened to the original Lilith and Bruno, the Revenant possessed by her, as there seemed to be a budding attraction there. Finally, at the tail end of the game, the player can choose who to have an ending with. Zero mention of a relationship system, zero hint of this choice during the game; the developers just slapped it on at the end. It’s insulting to their own characters. Overall, the characters here and the plot both ask for too much from the player without giving enough in return. 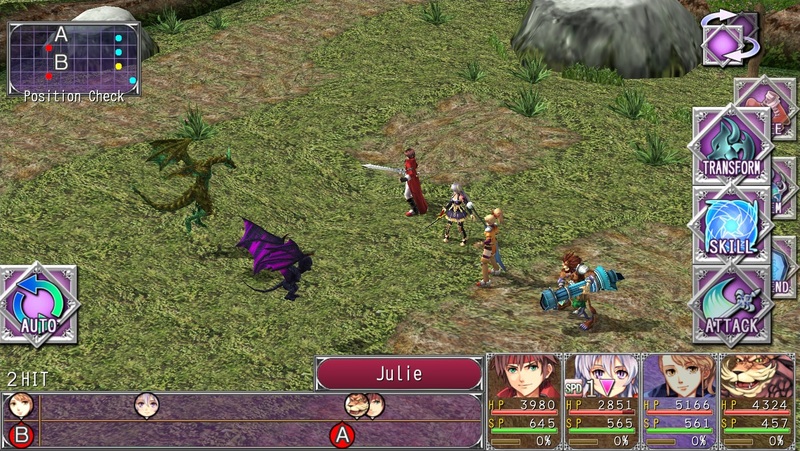 Moving on to gameplay, Revenant Dogma’s gameplay is reminiscent of Revenant Saga’s, with several innovative modifications. Gameplay is still combat driven, featuring classic turn-based battles and utilizing player and enemy positioning to add depth. Standing in the vanguard yields the most damage given and received while certain attacks, such as guns and magic, are not subject to position. 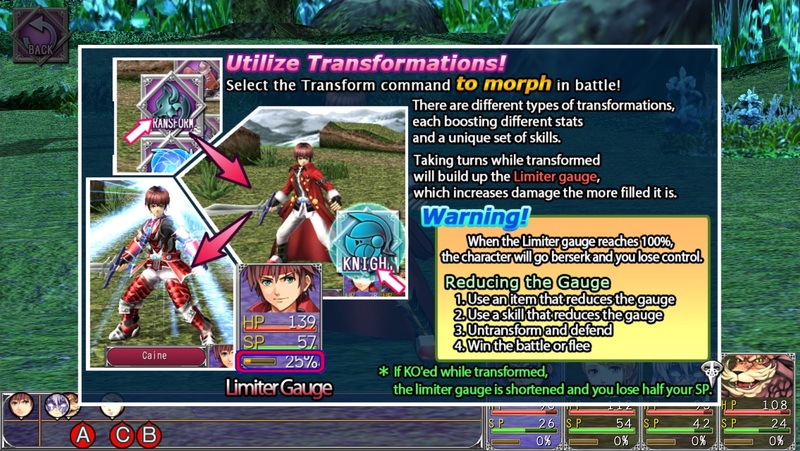 The transformation element to combat makes a return, allowing each character to transform into four different classes instead of the original single transformation. Each class boosts a particular stat such as strength, defense, or intelligence. Classes can also be changed during combat, so players could transform their team into guardians first, which typically have stat boosting skills, then during the battle, transform into knights and healers to add strength and intelligence effects on top of those temporary boosts to deal maximum damage. With the variety each class provides, combat becomes more than just a brute force endeavor. Outside of combat, Revenant Dogma features several familiar mechanics. A simple quest system tracks main story quests, which are started and completed automatically as you progress. Subquests are provided by NPCs in the various towns visited throughout. These subquests, whether they are retrieval quests or requests to defeat certain numbers of enemies, all have a focus on combat. Retrieval quests typically have you journey back through a previous dungeon, forcing you to drudge through all those enemy encounters again. Dogma also features the Ethereal Establishment, a set of four challenge dungeons that provide special weapons, rare items, and the ability to grind levels. Again, heavy emphasis on combat here, especially since the monsters in these special dungeons are far more resilient. 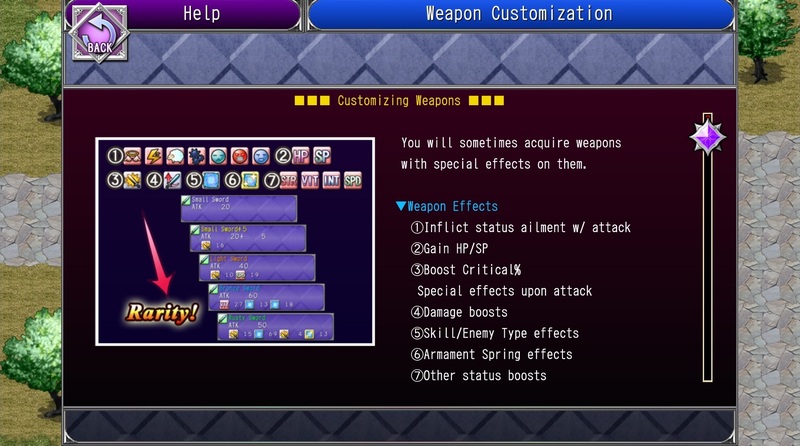 Speaking of weapons, the customization from the first game returns here, allowing the crafting and improvement of weapons through sheer strength, as well as the addition of effects, such as sleep, poison, etc. Finally, there is a points system. By collecting Revenant Dogma Points (RDP), similar to Saga, these points can be used in a Menu Shop for unique items or traded in a weapons lottery. Crafting is a major part in surviving this game, so learn it quick. Unfortunately, there are glaring issues with the gameplay that, I feel, make it a frustrating and tiresome experience. My biggest complaint is that the encounter rate is terribly high. Every new area you enter will have a painfully frequent encounter rate. Pair this with the obnoxious dungeon designs and it becomes borderline excruciating. I have noticed that as you gain significant levels, the encounter rate decreases slightly, but by the time you reach that point, you have already moved on two or three areas. There are items that improve this, but not by much. 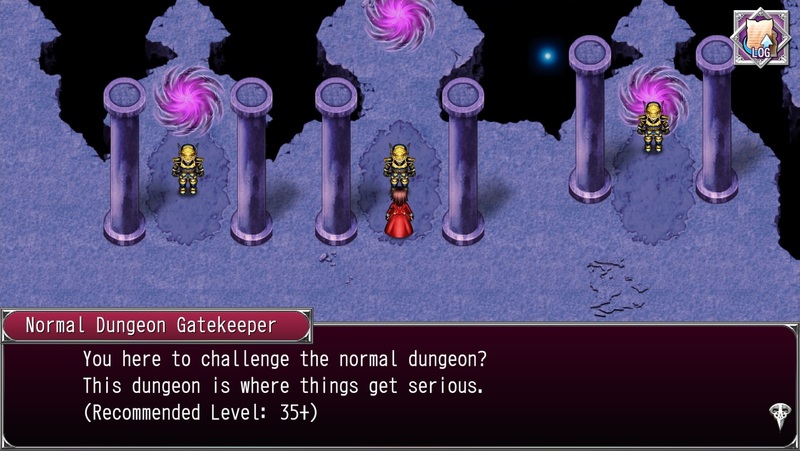 Kemco seems to have noticed the problem, offering a DLC allowing the adjustment of encounter rates for console versions of the game (nothing for PC as of this review). Another problem is the difficulty of enemies. The game itself isn’t difficult, but every battle is a test in patience, simply because the enemies feel unbalanced, having higher defense and resilience than necessary. You can gain several levels in an area and still spend far too long fighting the same groups of enemies. Also, enemies do not provide enough experience. Since this is a common trait of Kemco games, I believe this is intentional to stretch play time, but repeated missteps are still missteps. While there are items, weapon skills, and methods that can all increase experience earned, they are not easily learned of or acquired, especially for casual players. Plus, several methods of high-yield expperience gain require a high enough level to begin with, so the process is further delayed. Lies. I tell you, lies! With experience comes leveling and I felt the level ups themselves do not provide sufficient stat improvements to justify the player endurance needed to fight each battle. Balance is key to any turn-based RPG and this has been an all-too-common problem for Kemco, despite it being mastered by Squaresoft and others back in the early 90’s. Because of this imbalance, many players will depend on the extras that the Menu Shop provides, especially the weapons the lottery can give. Weapons that you wouldn’t otherwise see until later are needed much sooner than when they start appearing as treasures and enemy drop rewards. This is a similar complaint I had with Revenant Saga with the dependence on these extras and special items, just to maintain a semblance of balance. Even with the perks the Menu Shop offers, the last issue I take is the need to grind. Unless you’re willing to struggle, scrape by with recovery items, or simply chance it, you will need to grind for levels at times. You could save scum while breaking and crafting weapons to get the best effects and add-ons, or you can find one of the few areas on the world map to grind and gain experience, but without any of that, every new area will be an uphill climb. While the beginning of the game feels more balanced, the need to do something to improve your fighters will become apparent a little after the halfway point. The failure of Kemco to provide proper combat balance hurts, so much so that the overall quality of the experience suffers significantly and may deter potential players. Now we come to Revenant Dogma’s aesthetics, which I found to be the strongest aspect of the game. In similar Kemco fashion, the visuals here are great, mixing 16/32-bit sprites and tilesets with impressive portrait art. The spritework is great, harkening back to that classic era of 2D RPGs, something Kemco does well consistently. The portrait work, with the variations in facial expressions is excellent and always leaves me wanting more because of how well it’s always done. Along with the 2D works, Dogma also utilizes 3D models during battles, similar to Saga. This was one of my complaints with Saga, as it gave the game a dated look with the sharp edges of the 3D models. Unfortunately, the 3D models here also have an older feel, but it’s an improvement. I also like the changes to the models of our heroes as they equip different weapons and transform. Having variations in weapon designs, as well as the appearance changes when transformed, nicely depicts growth and improvement throughout the game; the willingness of the developers to include this is noteworthy. Although some visual variations are just color swaps, the overall effort is appreciated. As for the audio, I liked the addition of voice work, yet there was far too little of it. I would have preferred a fully voiced game, as the pre and post battle lines, which are the only things featuring voice work, can get repetitive after hearing them frequently. Personally, I also liked that they were in Japanese and not some cheap English dub. As for the music score, it’s not the worst, as it’s a composite of familiar tracks with a few new ones too. I did enjoy the inclusion of Revenant Saga’s battle theme and boss theme, as it gives this game a familiar sound, as well as using Saga’s overworld theme when sailing. Those few tracks connect this game to its predecessor far better than the plot. The few new tracks are equally good, such as the new battle theme. Throughout my play, I never got tired of hearing it, but perhaps that was because other elements were testing my patience more. Finally, Kemco has a bad habit of using certain tracks in all their games and that has again happened here. The generic dungeon, town, and cave music all make a return, to no one’s pleasure. Revenant Dogma feels like a game that is cobbled together with mediocre and, at times, inferior RPG parts. As a sequel, it fails to respectably and coherently continue the storyline of the first game, instead abandoning many of the plot elements that made the first game remarkable. Taken on its own, it’s not completely terrible, earning a 2.5/5 rating, but only barely. 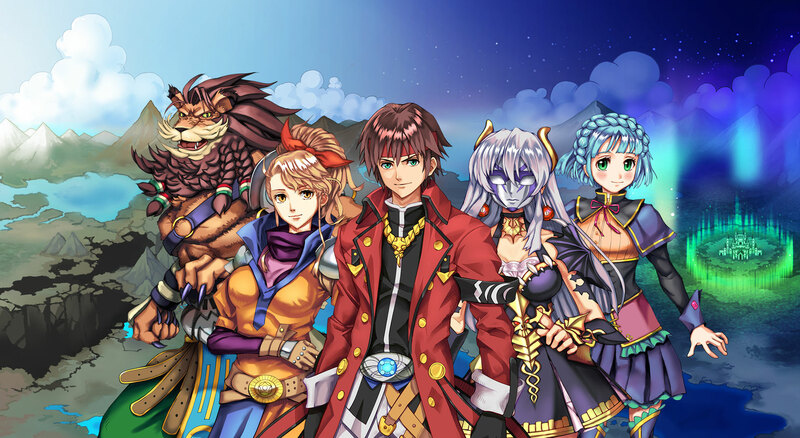 It’s difficult to recommend this game and I would sooner recommend Revenant Saga, if you haven’t yet played it, as well as other, stronger Kemco games like Asdivine Hearts or Antiquia Lost. As a fan of Revenant Saga and knowing that Kemco is capable of more, I expected far better.